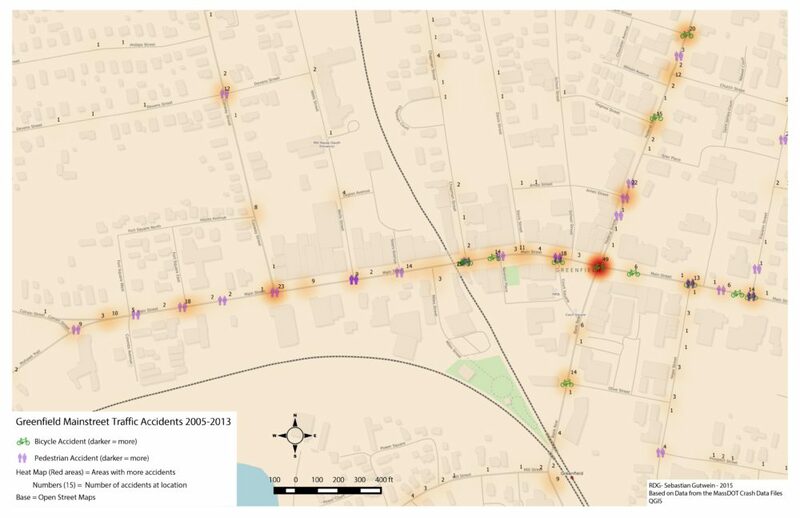 As part of my duties as a member of Greenfield’s Parking and Traffic Commission I put together a map of Greenfield traffic accidents from 2005-2013. If you live in Greenfield this should be pretty interesting. If not, it is a good example of the value of visualizing data.